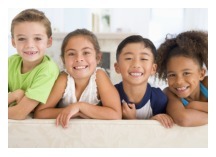 At Chaney, Couch & Associates, we’re committed to educating our patients on oral health conditions, dental procedures, and proper oral hygiene techniques. Here you’ll find all of the information you need to keep your teeth healthy and make informed decisions about your dental health. Click on any of the tabs below to learn more. The surfaces that are between teeth are not accessible to brush. Therefore, the best way to clean them is by flossing. 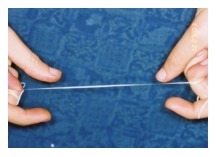 The frequency of flossing is like brushing – ideally after each meal. Though one time a day, preferably before going to bed is the minimum necessary. Also, some electric brushes (Sonicare) produce sonic vibrations that are difficult to mimic with a hand brush! 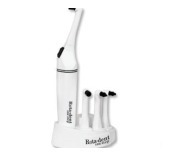 Other electric brushes like Oral-B and Rotadent have small heads that help you access hard-to-reach areas of your mouth. This aspect is more important when you are talking about someone with orthodontic braces or a history of periodontal (gum) disease. Probably the worst thing you can do to your teeth is to drink a soda and have a sip every few minutes over a long period of time. The same is true for snacking. It is recommended that if you want to have a snack, a soda, or juice – it is better to have it after food, as dessert, or have it all in one sitting. Eating or drinking something sweet over an extended period of time creates a constant supply of sugar for bacteria that causes tooth decay! But what about when you have to have sugar? The best way to avoid cavities is to prevent the sugar from staying next to your teeth. 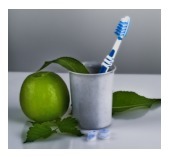 Brushing after eating sugar, rinsing your mouth with a Fluoride mouth wash, or chewing sugarless gum can help. However, nothing has the effect of avoiding sugar! A bridge is essentially a series of crowns that are connected to restore a missing tooth or number of teeth. On the other hand, in-office whitening is the most efficient means of whitening. There are a number of different types used, but the process is very similar for these methods. 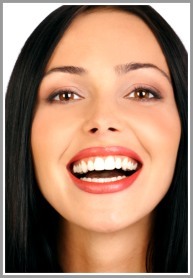 You can have your teeth whitened in one session and achieve significant results. Your dentist can give you more detailed information and help you decide which method is more suitable for you and your teeth. LUMINEERS BY CERINATE are a terrific cosmetic solution for permanently stained, chipped, discolored, or misaligned teeth, or even to revitalize old crown and bridgework. LUMINEERS BY CERINATE are a porcelain veneer that can be made as thin as a contact lens and is placed over existing teeth. Unlike traditional veneers, they do not require painful removal of sensitive tooth structure. Dentists apply these contact lens-thin “smile shapers” to teeth without any grinding or shaving, and transform misshapen, worn teeth into a naturally beautiful smile. LUMINEERS can even be placed on porcelain bridgework and crowns with the new Revitalize Kit, available from your dentist. LUMINEERS BY CERINATE provides the best of both worlds – they are ultra-thin, yet super strong for a radiant smile that resists any cracking that can damage restorations. LUMINEERS are completely reversible. Get your perfect smile today! 1) Pressure should be placed on the gauze pad that has been put over the extraction site for one hour. If the bleeding continues new gauze should be placed and pressure applied for another 45 minutes. 2) If you are supervising children who have had an extraction done, make sure they don’t bite on their numb lips or tongue (it can cause serious injury to their soft tissue). 3) NO SMOKING for 2-3 days following any extraction. Avoid eating or drinking anything hot on the day of your extraction. Also, do not rinse your mouth and do not use a straw for drinking. Do not spit and do not drink carbonated beverages. 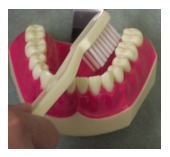 Do not brush on the day of the surgery – you can gently resume your brushing and flossing the day after. 4) You may experience some pain, bruising around your lips, and/or some swelling, especially after extraction of impacted wisdom teeth. Applying ice to the affected area and taking medication as prescribed for you will help to minimize your discomfort. 5) Please take all the medication you have received based on the provided instructions. 6) During the first 2-3 days after surgery a diet of soft food and liquids is recommended (soup, yogurt, milkshakes and juice). 7) For more complex surgical procedures, including Impacted Wisdom Tooth Extraction, Implant Surgical Procedures, etc: You will receive an ice pack which should be applied for the rest of the day until you go to bed on the day of surgery (10 minutes on and 5 minutes off). Instructions for various surgical treatments will have some unique directions, which will be supplied to you at the time of your treatment. 8) Call our office if you experience excessive bleeding, severe pain or swelling, or if you have any questions or concerns. In case of serious emergencies call 911. 1) Do not eat on your new filling for one hour and until your numbness is gone. 2) If you are supervising children who had fillings done, make sure they don’t bite on their numb lips or tongue (it can cause serious injury to their soft tissue). 3) Do not bite hard or chew on silver amalgam fillings for 24 hours. 4) You may experience cold and heat sensitivity and some gum soreness – this usually subsides within a few days. 5) Call our office if you experience pain or discomfort for more than a few days after the fillings, or if you have any questions. 1) Crowns and bridges… usually take 2 or 3 appointments to complete. On the first appointment, the tooth/teeth are prepared, impressions are taken, and a temporary crown is placed on your tooth/teeth. 2) You may experience sensitivity, gum soreness, and slight discomfort on the tooth/teeth. It should subside after the placement of the permanent crown(s). 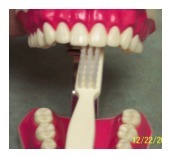 4) A temporary crown is usually made of plastic-based material or soft metal. It can break if too much pressure is placed on it. The crown may also come off. If it does, save the crown and call our office. The temporary crown is placed to protect the tooth and prevent other teeth from moving. If it comes off it should be replaced as soon as possible. To avoid losing your temporary, do not chew on sticky or hard food (chewing gum, ice). Try to chew on the opposite side of the temporary as much as possible. 5) Continue your normal brushing but be careful while flossing around the temporaries (remove the floss gently from the side). If it is difficult to get the floss between the temporary and surrounding teeth, refrain from flossing until you receive your permanent crown. 6) After the permanent restoration is placed you may feel slight pressure for a few days. Also, the bite may feel different for a day or two. But if after 2-3 days the bite still feels uneven or if you feel discomfort when chewing on the tooth, call our office. Delaying the necessary adjustments may damage the tooth permanently. 7) Call our office if you are in pain or if you have any questions. 1) You may experience moderate pain and sensitivity to pressure on your tooth. Also, you may feel gum soreness for few days after your treatment. The healing process may take several days but the pain and discomfort should subside gradually. 2) Take any medication that was prescribed for you according to instructions. 3) Usually a temporary filling has been placed on your tooth. Do not bite on the tooth for one hour and while you are numb. 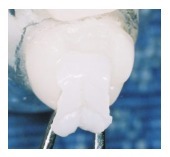 Also, until the permanent restoration is placed, be very gentle with the tooth. Try to chew with the opposite side. 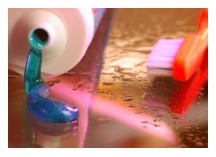 4) Continue your brushing and flossing. 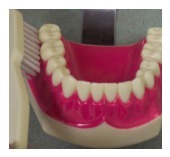 5) Follow-up with the placement of your permanent restoration such as a crown – as you have been advised. Any unnecessary delay in the placement of a final restoration may damage the tooth permanently. 6) Call our office if you are in severe pain or experience swelling, or if you have any questions. 1) You may experience some cold and heat sensitivity – especially after deep cleaning. 2) If you have received anesthesia do not eat anything until the numbness has worn off. 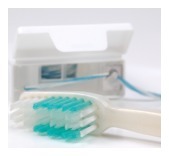 3) Continue your regular brushing and flossing. 4) Some bleeding for a day or two after cleaning is normal, but if you experience any excessive bleeding – please call our office. 5) Call our office if you are in pain or if you have any questions. 1) You may experience some pain, swelling, and bleeding after the surgery. 2) Take all medication that was prescribed for you according to instructions. 3) Apply an ice pack on your face over the surgical site on the day of surgery for 10 minutes on and 5 minutes off. 4) Keep your next appointment on time for removal of sutures and follow up checks. 5) DO NOT raise your lips with your fingers to inspect the treated area. 6) DO NOT brush teeth near the surgical site. Brush teeth in the rest of your mouth. 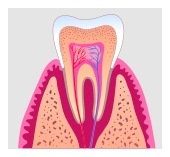 7) There is often a temporary loss of feeling in the operated area and the tooth may feel loose. 8) Do not smoke, spit, or use a straw on the day of the surgery. Also avoid smoking for a few days after the surgery. 9) Should any difficulties occur, do not hesitate to call our office. In case of serious emergencies call 911. 1) You may experience some discomfort and bleeding the day of the surgery. 3) Apply an ice bag on your face over the surgical site on the day of surgery for 10 minutes on and 5 minutes off. 1) You will experience some discomfort with any new denture for a few days. All new dentures need several adjustments to completely and comfortably fit your mouth. 2) You should take the dentures out every night and keep them in a clean container filled with water or denture cleaning solution. Your gums need to rest and be without the dentures every day for a period of time. 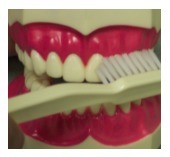 3) Clean dentures thoroughly with a brush and water before putting them back in your mouth. 4) It may be difficult to talk normally with the new dentures for a few days. One way to practice is to read a book or newspaper out loud for a period of time everyday. Your tongue and muscles will get used to the new dentures and you will talk normally very soon. 5) Call our office if you are experiencing pain, discomfort, or if you have any questions.